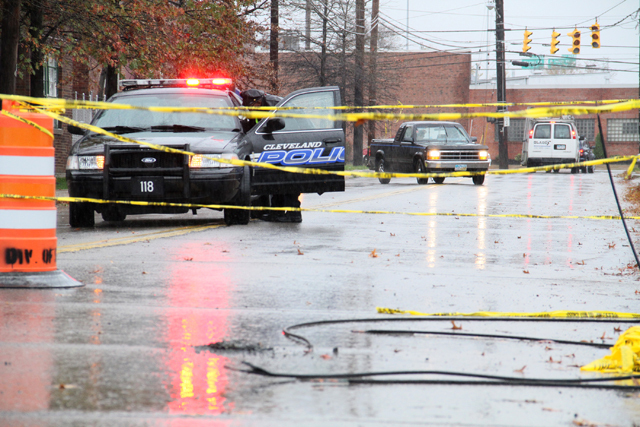 Cleveland Public Power crews have made significant progress in clearing downed power lines. Public Works received approximately a dozen calls for fallen trees and branches. Two crews were called in to clear fallen trees and branches from the right-of-way. Cleveland City Hall sustained some roof damage, with high winds tearing off a portion of the copper roofing material. Preliminary investigations did not reveal any internal damage to City Hall. Emergency repairs will be made. Flooding, standing water and traffic signals may still pose challenges to motorists. As always, please exercise caution if you’re travelling tonight.